We’re only five months into the year and already, 2017 is shaping up to be one to remember for Marvel Studios. Guardians of the Galaxy Vol. 2, James Gunn’s space oddity that continued the rip-roaring adventures of Star-Lord and the gang, has already cemented its status as one of the year’s biggest blockbusters with an international haul of $736 million – so far, at least – and that’s before you factor in one simple, yet wildly exciting fact: For the first time in the MCU’s lucrative history, Marvel Studios is launching three superhero tentpoles in the space of 12 months. Thor: Ragnarok will be the one to give the studio its riotous encore in November, but in between Star-Lord and the God of Thunder is the bouncy kid of the Marvel Cinematic Universe: Peter Parker. Yes, Spider-Man: Homecoming has fast become one of summer’s biggest tentpoles ever since Tom Holland first swung into action during Civil War, plucking that famous shield from Cap’s wanting hands in the process. Fast forward 12 months and change and the British rising star is about to headline his own Spider-Man solo movie. Make no mistake, the excitement is palpable, and now that Star-Lord and Co. are beginning to retreat out of the limelight – expect Marvel’s lovable A-holes to crop up in Avengers: Infinity War, before reconvening for the confirmed third volume in the Guardians saga – Marvel has unleashed the third and surely final trailer for Spider-Man: Homecoming, teasing a spectacular new addition to the MCU. The majority of the focus here is on Peter coming to grips with his powers and essentially going through training, while the international version gives us a couple of extra scenes, including an extended look at the airport battle from Civil War. There’s also a brief first look at Donald Glover’s character which you can keep an eye out for. All in all, it paints a very promising picture of the upcoming blockbuster and we’ve no doubt that the studio’s got a mega hit on their hands here. 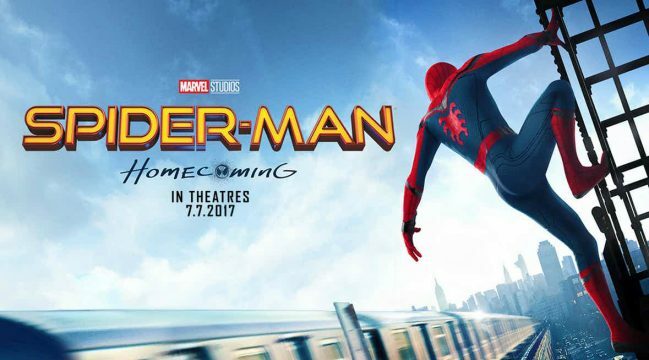 Spider-Man: Homecoming opens July 7th. It’s the first of three Marvel solo movies to feature Tom Holland’s Wall-Crawler, but it seems the actor already has another franchise between his crosshairs. Its name? Uncharted.